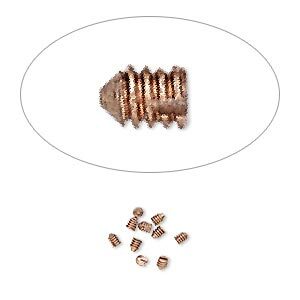 Screw, Screw-Tite Crimps, gold-plated copper, 2x1mm. Sold per pkg of 10. Item Number: H20-1206FX Have a question about this item? 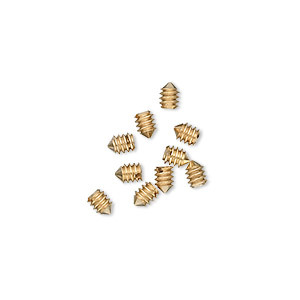 Extra set of 10 gold-plated screws for Screw-Tite Crimps findings. Screw-Tite Crimps are an economical combination of a screw finding and a crimp. Gold-plated copper components contain a screw inside the barrel that crimps and holds wires in place. Can be loosened and retightened for adjusting ease. Accommodates wire up to 0.018 inch diameter. Use with Accu-Guard wire protectors for a professional finish. 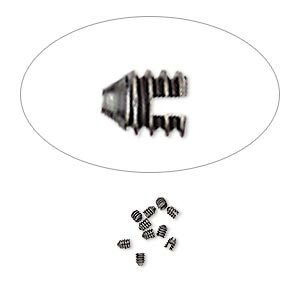 Replacement screws for Screw-Tite Crimps findings. 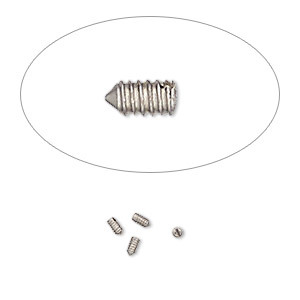 Screw, Screw-Tite Crimps, silver-plated copper, 2x1mm. Sold per pkg of 10. Screw, Screw-Tite Crimps, copper-plated copper, 2x1mm rectangle. Sold per pkg of 10. Screw, Screw-Tite Crimps, gunmetal-plated copper, 2x1mm rectangle. Sold per pkg of 10. 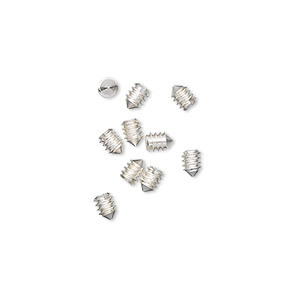 Screw, Screw-Tite Crimps, stainless steel, 3x1.5mm rectangle. Sold per pkg of 4.